Theme: Unpacking animal behavior, neural circuit function and neuronal cell biology through interdisciplinary and quantitative analysis. This international undergraduate workshop is designed to present students with a range of major research topics in the neurosciences, from organismal to molecular resolution. By combining scientific research presentations, foundational lectures, hands-on data collection and quantitative skills workshops, this one week course will provide opportunities for students to explore cutting edge questions. Team problem-solving and analysis with statistical and computational tools will be used to deepen collaborative connections while demonstrating fundamentals of experimental design and data interpretation. to develop an interdisciplinary introduction to quantitative methods and the interdisciplinary interfaces that propel neuroscience research. to initiate and organize team-based problem-solving. 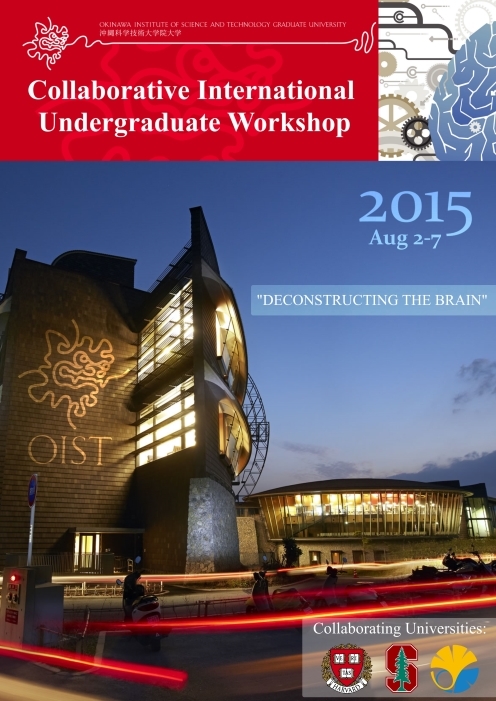 This workshop is funded by OIST with assistance from Harvard University. OIST will handle the logistics of accommodation, travel, and meals for all workshop participants. RIKEN generously provide facilites for the first two days in Wako. The workshop has a Facebook page! Come and check it out.